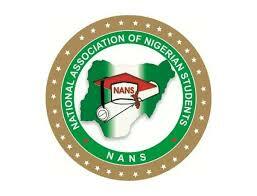 ‎The students said that NANS had through a communiqué addressed to President Muhammadu Buhari called on him to use his good offices to ensure the matter was resolved. ‎”We make bold to remind you, Sir, that the university was established by the Federal Government of Nigeria, accredited by the National Universities Commission (NUC). “Of course, NANS as a body is not concerned on the continuation of law programme in NOUN if opposed by the professional bodies. ‎”We state categorically that any injury to one Nigerian student is an injury to all Nigerian students and youths in general. “In the light of this, NANS as a body will no matter the price fight against this prolonged injustice, intimidation and mischief. The students’ umbrella also recommended to the Federal Government to close down the two institutions: NOUN and Nigerian Law School, if they had become tools of oppression against the Nigerian students. NAN reports that the letter was copied to the Senate President, Dr Bukola Saraki and Speaker, House of Representatives, Mr Yakubu Dogara.